Eating healthy is not always the easiest option. We can get tempted with juicy and fatty fast food. Also, who else has the time to prepare a nice meal in this fast-paced world? Nevertheless, there are still a lot of good food advocates out there. One of which are those who engage in raw food diet. 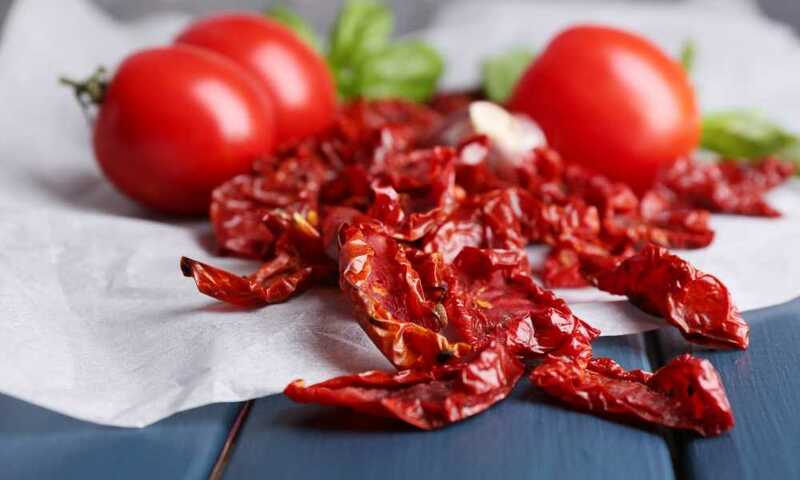 To make this possible, you should familiarize yourself with the best dehydrator for raw food available on the market. 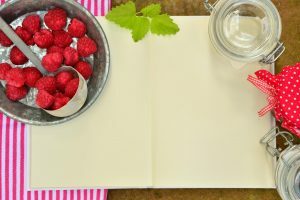 By the end of this article, you should be able to choose the best equipment to accompany you on your raw food diet journey. 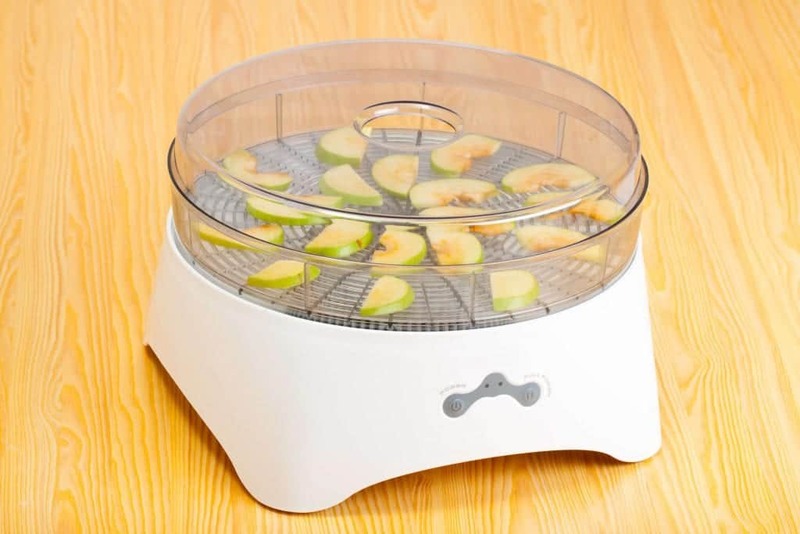 On the top of our list is the Excalibur Tray Food Dehydrator. 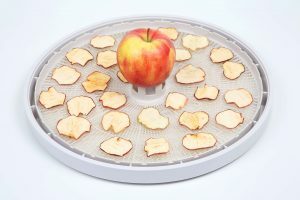 This dehydrator can aid you in drying various fruits, vegetables, and the occasional meat jerky. It has 15 square feet of drying space and nine trays. The good thing about this specific model, the Excalibur 3948CDB Food Dehydrator is an upgrade from the old series. It now has a digital controller for adjusting the temperature. It also features a two-time, two-temperature option. This specific option allows the user to indicate two different times and set the temperature of each. 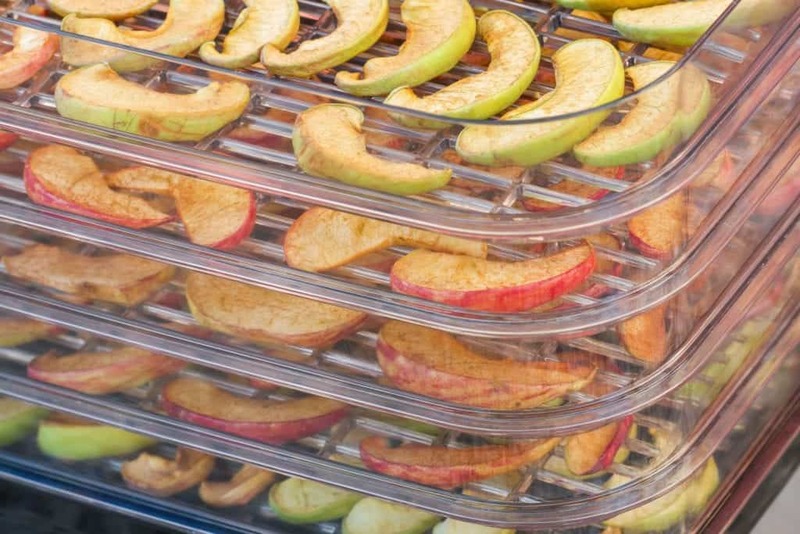 We all know how long it takes to dehydrate fruits and vegetables. You do not need to worry and stay up all night. 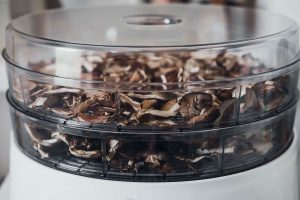 As this food dehydrator automatically shuts off once it completes its cycle. You can set the 48-hour digital timer with ease. This is especially useful for people on the go, you can do your errands and go about your day without worrying about unplugging this machine. Aside from the unique timer, it also has the capacity to adjust the thermostat. The range of the temperature is from 95º to 165ºF. The ability to adjust the temperature is essential for food dehydration. It allows you to set the temperature very low so that active enzymes present in fruits and vegetables survive. You can also set the temperature very high to ensure that safety standards are met whenever you do meat dehydration. This particular equipment has a lot of advantages. As for disadvantages, some may find the nine tray capacity to be not sufficient to meet the needs. If you happen to dehydrate food in large quantities then you can easily fill out the spaces provided. 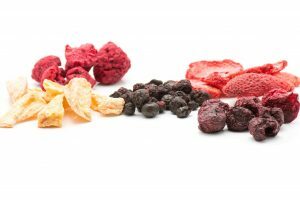 Truth to be told, people are increasingly getting into the trend of preparing and consuming raw dehydrated food. 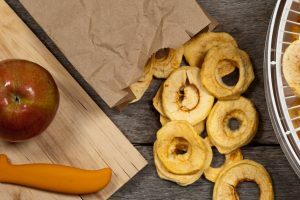 Aside from health reasons, dehydrated food can also be tasty and fulfilling. 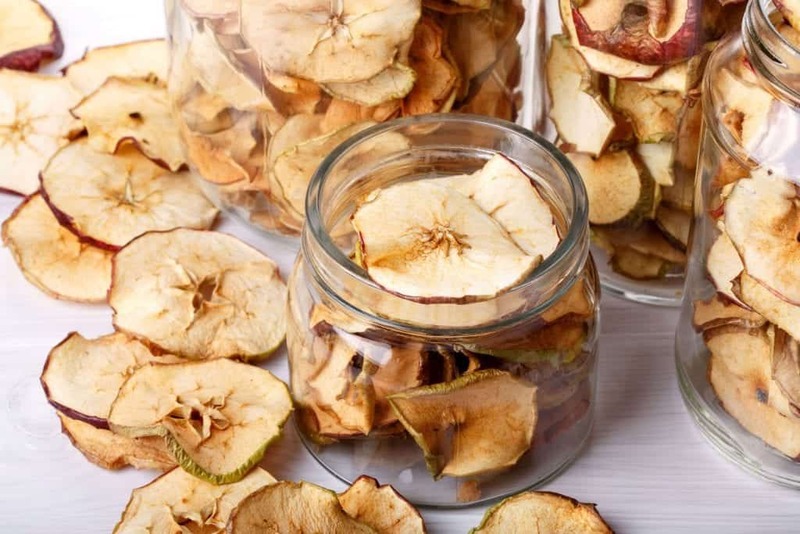 You can also make snacks like apple and banana chips. The possibilities are endless. You can make different combinations and there are a lot of recipes available online. Now all you need is the best dehydrator for raw food available. Next on our list is the TSM Products Food Dehydrator. This particular equipment features 10 stainless steel trays for your food dehydration needs. If you are concerned about rusting, the TSM Products Food Dehydrator is made from 22ga to 304 stainless steel that is food grade. It is also not prone to rusting. Aside from that, it also has an adjustable thermostat with a range of 90ºF to 165ºF and a fully functioning timer. Last, but not the least, on our list is this Magic Mill Food and Jerky Dehydrator. When you see this fine piece of equipment, you might feel a bit overwhelmed by its size and features. Do not fret, we will run through its specific features and help you decide if this is the best raw food dehydrator for you. One of its key features is that it provides 1000 watts of power to aid in drying. It is also manufactured using stainless steel. Since it also uses horizontal air flow technology, you will be assured that food will be dried evenly. No need to fret that one part is already done while the others are still not dried. 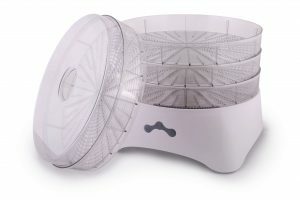 To cope with modern times, this Magic Mill Food Dehydrator has a digital timer and thermostat. The thermostat is adjustable with a range of 95ºF to 158ºF. As for the timer, you can easily set it on the required amount of time and it will automatically turn off. 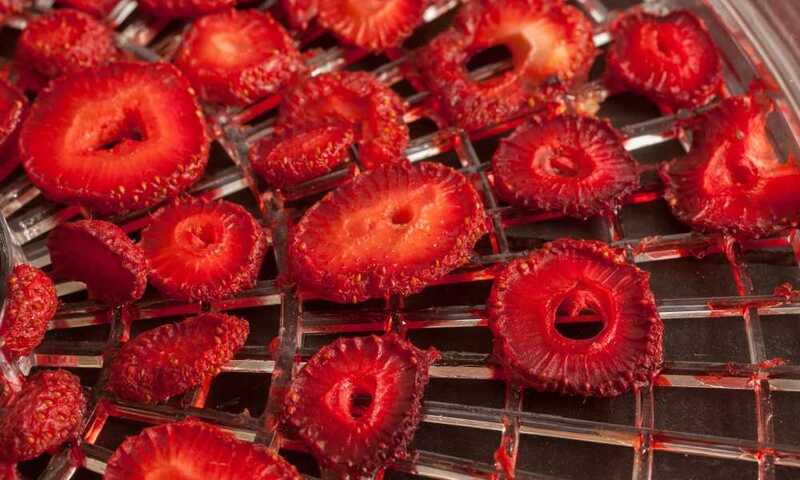 No need to check on your food dehydrator, as long as you set it then it will be all right. In terms of capacity, this equipment is very spacious and has 10 trays ready for your food dehydration needs. It can also hold up to 13 pounds of food in one go. If your concern is overheating, this product has an overheating-safety function. Lastly, aside from its numerous accessories such as mesh sheets, fruit leather sheets, and oven mitts, it also has a drip tray for easy residue cleanup. Now that we have laid out everything for your review. You should have an idea about the food dehydrator that you need. You may feel a bit overwhelmed with all its features but most of the basic features are present in all three equipment. Now it all boils down to your needs and preferences. For example, if you value space and would prefer an equipment on the smaller scale then the Excalibur Food Dehydrator will work for you. On the other hand, if you feel that you want to maximize the dehydration process and dry food in one go, the Magic Mill provides all the space you need. 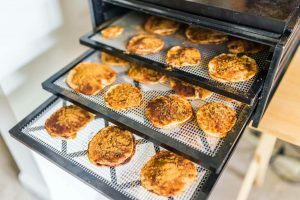 The TSM Products Food Dehydrator is the best of both worlds with 10-tray capacity and has a removable back cover for easy cleaning. Whatever raw food dehydrator you end up choosing, just remember its features. This will guide you on what to buy. Food dehydration can be a fun and healthy way of eating. It is not too late to start enjoying all those kale chips and dried fruit chips.